Home > Archive by Category "Reservation"
There is without a doubt no better way of seeing Norway than by driving – preferably in a campervan of course. Norway is a large (and in the south, wide) country, and really getting around without a car is not that easy. 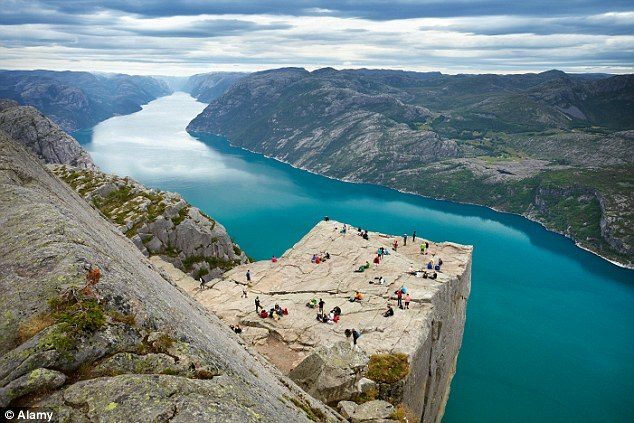 Most of Norway’s highlights, such as mountains, viewpoints, fjords, glaciers and other scenery is found along roads. So how do you start planning which roads and routes to take? Luckily the Norwegian travel authorities have made this part easy for you. There are 18 official scenic roads which includes basically most of the highlights Norwegian nature has to offer. 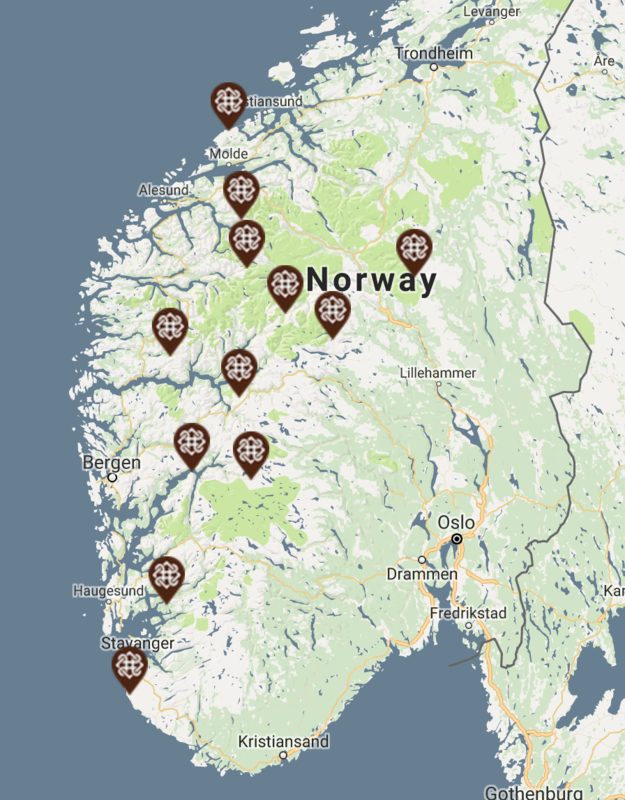 The website: https://www.nasjonaleturistveger.no/en is in Norwegian, English and German and provides all the details you need to plan an amazing roadtrip. So there are 18 routes, listed geographically from North to South these are; Varanger, Havøysund, Senja, Andøya, Lofoten, Helgelandskysten, Atlanterhavsveien, Geiranger-trollstigen, Gamle Strynefjellsvegen, Rondane, Sognefjellet, Valdresflye, Gaularfjellet, Aurlandsfjellet, Hardanger, Hardangervidda, Ryfylke and Jæren. Some of these routes are around 30-50 km long while others are closer to 300km! Each route is listed on the website with special attractions, highlights and some history. 12 of the 18 roads are in the South of Norway (South of Trondheim) and 6 of the roads are logically in the North of Norway (North of Trondheim). Most of the scenic roads in the South of Norway are found along the west coast and central Norway. When picking up a campervan in Stavanger, you can easily reach all these 12 scenic roads within a day or two. Several of the 12 scenic roads in the south are just a few hours away from Stavanger – such as Ryfylke and Jæren, which basically start or are found very near Stavanger. If you have a week in a campervan you can easily cover 8-12 of the scenic roads in the south! If you have more than a week you could even reach the ones in the North! Just drop us an email at reservations@cabincampers.no. We’ll come back with more specific route suggestions and travel tips soon! Norwegian Scenic Route Jæren runs from Ogna to Bore, a total distance of 41 km (Road 44/507). Kvassheim lighthouse, one of the many lighthouses along the coast of Jæren, makes for a lovely detour. Jæren is one of the shorter scenic routes, and to be fair it does not have the attractions and highlights of many of the other scenic routes. There are no mountains or fjords. There are however really nice beaches, coastlines and lighthouses. Its also right outside of Stavanger (around 20 minutes drive) and could be a natural part of making your way out of Stavanger (or short detour). On your way to Ogna, make sure to stop by Sola beach, which is right next to the airport. Jæren is also a great route for surfing. The Ryfylke scenic route is a really interesting roadtrip that gives you a great mini-version of Norway – with mountains, fjords, interesting small towns, waterfalls, modern architecture and more. It starts just 1 hour outside of Stavanger – with the Lauvik-Oanes ferry. While the Ryfylke road trip could be done in a day or two, we recommend a minimum of 3 days/nights. At the northern most point of the roadtrip (Røldal), you are just a few kilometres away from the southern starting point of the Hardanger scenic route as well (see the map).